So last week I saw this post on Grey Likes Baby (and no, I’m not planning on having a baby anytime soon) and it inspired to me to do some egg decorating of my own! 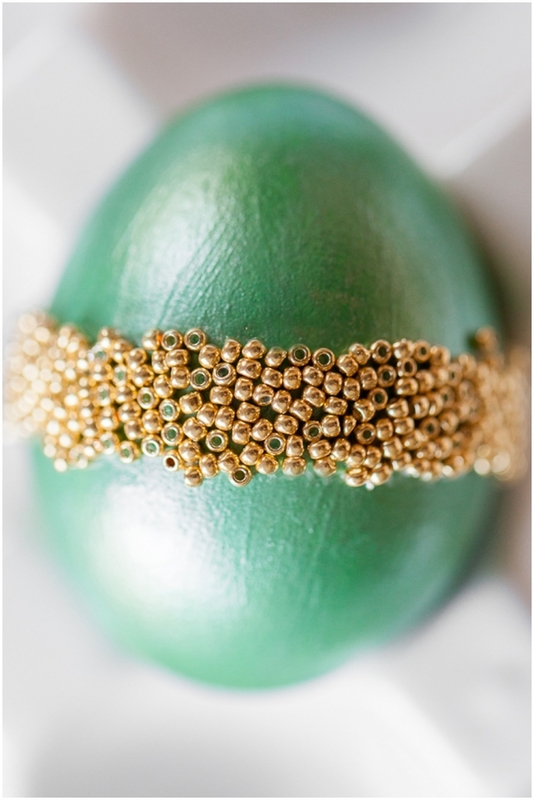 I made this one by putting two pieces of tape around the egg to create a border for the beads. I then “painted” tacky glue inside the border. To finish it off, I just sprinkled it with tons of gold beads. Then I just waited for the glue to dry to pull off the tape. Who knew it was so easy to make eggs look this GOOD? 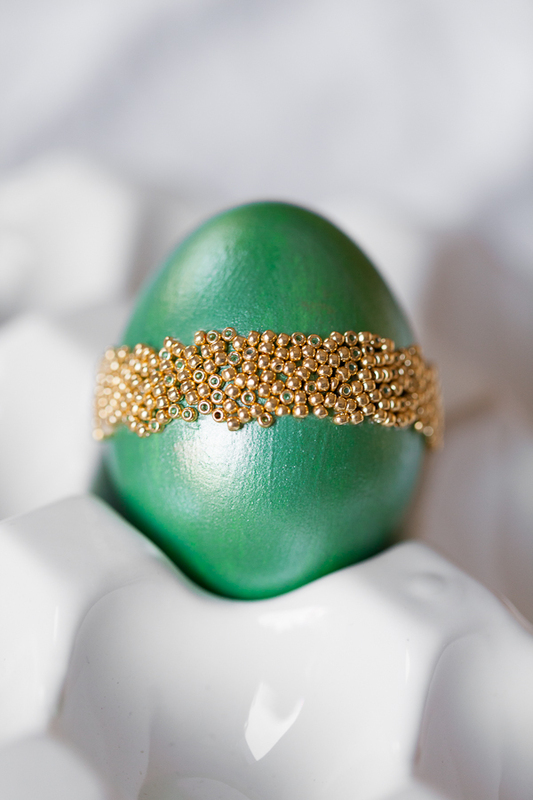 Here are some more very festive eggs! The green pearl paint was my fave!